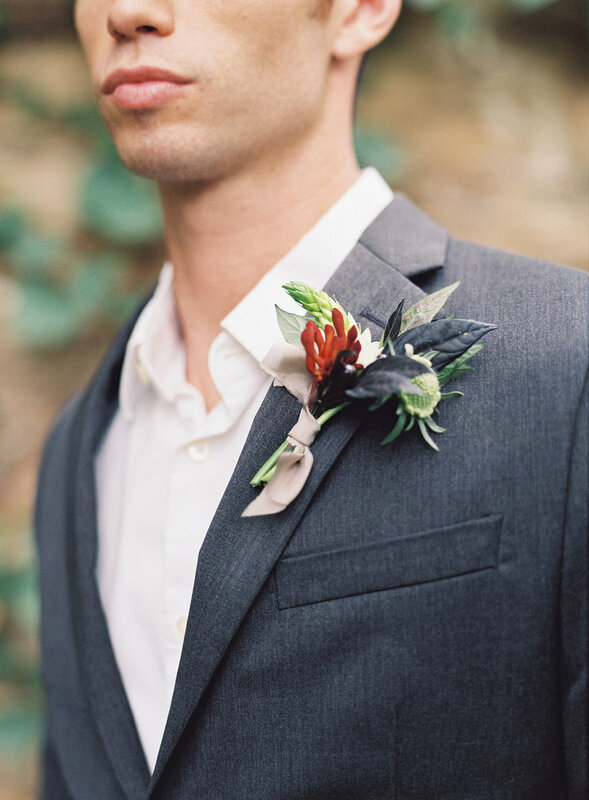 I'm so excited to share these gorgeous film photography images by Michael and Carina Photography of an autumn wedding inspiration styled photoshoot that I created for a two-on-one film photography workshop that Michael and Carina held last fall. Thank you so much to Style Me Pretty for featuring this fine art wedding inspiration on your blog! This was my first time working with Michael and Carina and it was the most fulling creative experience - I have since worked with them two more times, with more to come this spring! 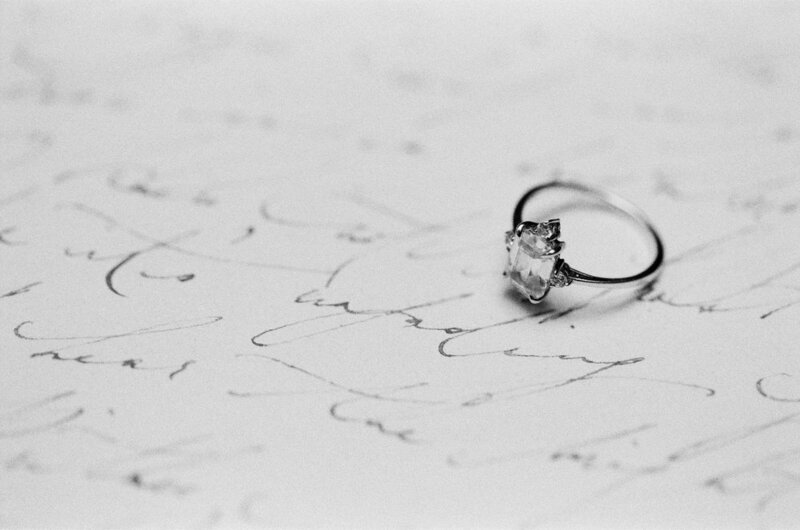 They only shoot film photography and, as a result, their imagery is just stunning. Creamy skin tones, vivid colors... I could honestly go on forever, but it has been so creatively fun to team up with photographers who truly share a fine art wedding aesthetic and vision, and who are so encouraging, kind, and open to new ideas. The Richmond Virginia wedding venue, The Mill at Fine Creek, provided an absolutely beautiful, scenic, backdrop for our shoot, with authentic old mill ruins, gorgeous stonework and forest scenery, and a rocky creek - all stunning locations for outdoor wedding photos! The folks at the Mill at Fine Creek were incredibly generous in allowing us to hold this photoshoot on their grounds, and I would absolutely jump at the chance to plan a real wedding at such a unique Richmond wedding venue! Every time I design a wedding photoshoot, the first design elements I consider for inspiration are the venue and the season. For this outdoor September wedding, I drew inspiration from a fall color palette of rust, mustard, burgundy, and shades of grey and taupe. I was also inspired by this line of an Emily Dickinson poem, "There Is Another Sky:"
This imagery of a private, almost secret forest and garden reminded me so much of the Mill at Fine Creek scenery, and I loved the idea of designing an ethereal, natural wedding in mostly neutrals. Carmela at Corsivo Calligraphy created a delicate, calligraphy invitation suite with ivory, deckled edge paper, a light grey envelope, and a custom mixed ink color in the perfect shade of rust. I was especially thankful that Carmela generously loaned me two vintage Russian stamps for styling! I also incorporated some leaves from the bridal bouquet and fall mulling spices into my invitation suite styling. The cinnamon stick and piece of star anise added such a unique texture to a more neutral wedding invitation suite. I also placed some star anise on the buttercream wedding cake to continue on the spiced theme. 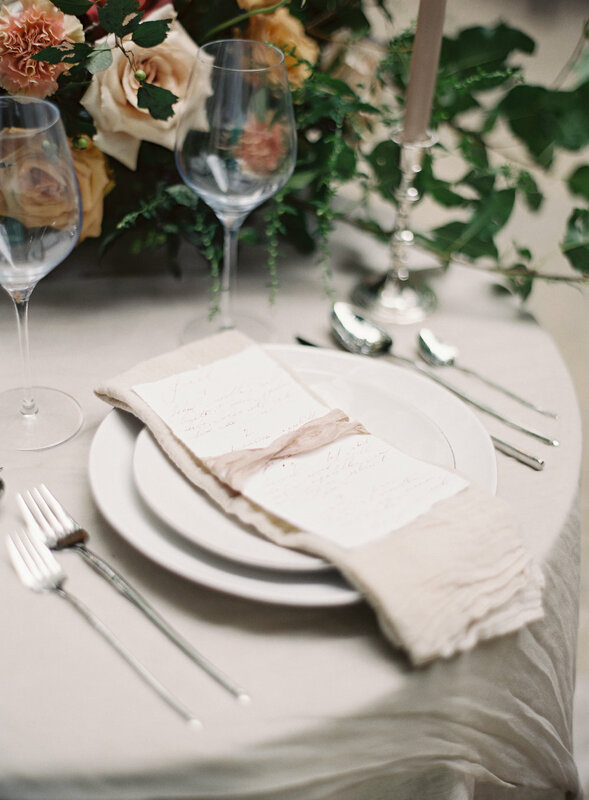 For the sweetheart table, I used a neutral linen tablecloth covered with a light grey silk fabric overlay, neutral linen napkins, skinny silver flatware, and neutral modern plates. Again, I was deeply inspired by natural elements, and wanted to use as many raw materials and fabrics as possible. The talented ladies at Sweet Root Village provided the large, lush rose centerpiece and bouquet, which, I think, stole the show with their huge blooms! Two of my very favorite elements of this styled shoot were our model Olivia's thick, blonde hair, styled by Emily Artistry, and the ivory, draped low-back wedding gown by Carol Hannah Bridal. We began the day with Olivia's hair in a loose, low updo to show off the low back of the dress, and then it was Carina's idea to let her hair down and show off those wild, loose curls - which I loved. Be sure to scroll all the way down to see the full list of wonderful vendors who collaborated on this shoot and check out our feature on Style Me Pretty!